Morris County has moved to a new emergency alert system called AlertMorris. In our town, it is be called AlertMtArlington. With AlertMtArlington, you can receive emergency alerts by email, text, phone, or whatever method of communication you prefer. Sign Up for free at (https://www.smart911.com/smart911/ref/reg.action?pa=mountarlington). If you were a member of the County’s old notification system, Everbridge, your information was forwarded to AlertMtArlington. But we ask that you register again, so we are sure to have captured everyone in the new system. Morris County’s social media alert accounts on Facebook and Twitter, @MCUrgent, also have changed their names to @AlertMorris. Get updates from OEM and multi-jurisdictional emergency alerts through your favorite social media platform! If you’d already signed up for @MCUrgent, there’s nothing to do – you’ll see @AlertMorris in your Twitter and Facebook feeds. Otherwise, follow @AlertMorris today! 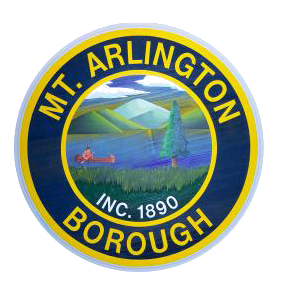 AlertMtArlington also automatically signs you up for Smart911 which provides you and your family with potentially life-saving Smart911, which is an important and free emergency 9-1-1 call component for those jurisdictions (including Morris County) who’s 9-1-1 center utilizes this product.